This morning, an hour before dawn, I put a coat over my sleeping togs and went outside. In the west, the Hunter and his Hounds were accompanying the near-full moon, Sirius as bright as a mithril coin. In the east, where the black was starting to turn to indigo, was the jagged procession of the three bright candles – silvery Venus, golden Jupiter, bronze Mars. It never ceases to grip me, this beauty that floods my breastbone with longing. Part of this yearning is our eternal quest for companionship, recently sharpened by the report of odd light dips of the F-type star KIC 8462852 — nicknamed Tabby in honor of Tabetha Boyajian, the lead author of the study and the head of the crowdsourced Planet Hunters project that sifts through the Kepler Space Telescope findings. About 1,500 light years away in the direction of the Cygnus constellation, the star is too old and stable to have a dust accretion disk. The dips could be the result of a cometary collision or gravity darkening from rotational flattening… but for the first time the SETI community uttered the words “Dyson swarm” with the slight, slight likelihood they might be more than fond wishes. We have to be dispassionate and rigorous in this, as in all other scientific explorations – especially ones that we’re vested in. After all, pulsars were first designated LGM (Little Green Men) before the non-sentient basis of their regular pulsing was deciphered. But now there’s at least one reputable paper out that outlines how to distinguish megastructures from natural planetary bodies. If there was a civilization around Tabby that was advanced enough to create sunlight-capturing structures, what we see may no longer exist or may have evolved into something “rich and strange”. More time on different types of telescopes may resolve this. In the end, the yearning will remain; we’re wired for wonder. There’s a reason (beyond the fact that I sorely miss my own beloved father – ally and confidante since toddlerhood) why the alien in the guise of Ted Arroway caressing Ellie’s cheek in Contact brings tears to my eyes. Ross Andersen, “The Most Mysterious Star in Our Galaxy” The Atlantic, October 13, 2015. Conjunction 2015 photo by Julian Kay. 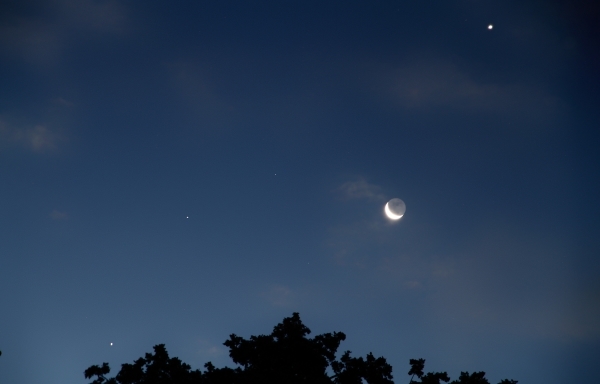 Left to right: Jupiter, Mars (faint), Moon, Venus. 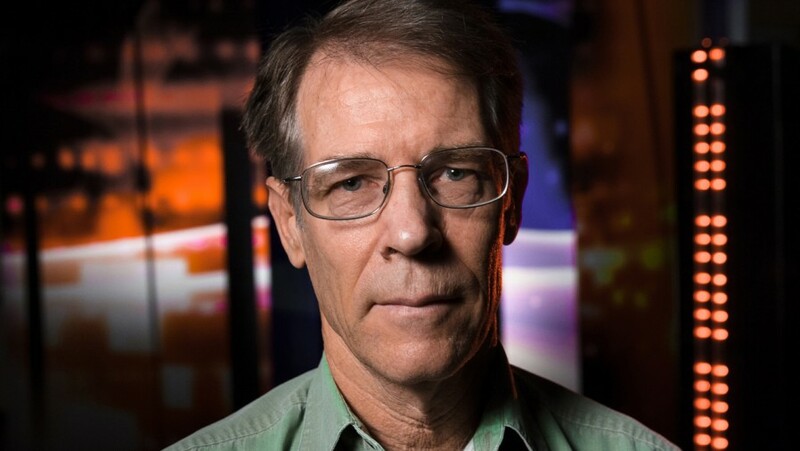 I’m delighted to once again host my friend Calvin Johnson, who earlier gave us insights on Galactica/Caprica, Harry Potter, The Game of Thrones, Star Trek: Into Darkness, Interstellar, and the works of Hanya Yanagihara, Ken Liu and Liu Cixin. Science fiction is full of ideas. But the ideas in science fiction seldom have the depth and rigor of ideas in science, or in philosophy, or politics and ethics. The reason I say this is: in fiction, the game is rigged. The debates are one-sided. The author gets the first, middle, and last word. This is not to say that the ideas in science fiction cannot capture the imagination. 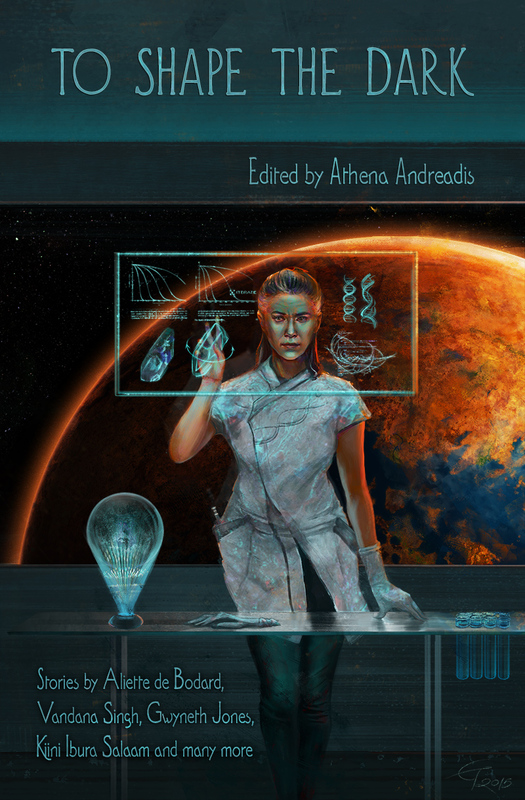 Indeed many classic SF stories that have inspired careers or even presaged the future. But not all have. The ideas in SF are not fully developed theories or philosophies, but more like Edison’s famous ten thousand attempts at making electric light: we remember the one that worked and forget, mostly, the ten thousand that didn’t. Such as Kim Stanley Robinson’s latest novel, Aurora. Let me explore the concept of fiction as being rigged. Science fiction typically assumes some future technology, whether it be interstellar travel or time travel or life extension, is possible. It is only after such an assumption that we arrive at the “idea” in science fiction: a fable about unintended consequences–step on a butterfly in the Cretaceous, change all of history–or to ask, a la James Blish, Who does this hurt? But these moral fables–for that is what they really are–gloss over the assumption of a technology. Many enthusiasts believe in a kind of technological manifest destiny: we can achieve any technology, if only we are smart enough, or put enough effort into it, or let market forces achieve it. In support of such a view the Manhattan Project, the Apollo Project, and Moore’s Law are often cited. Such citations often ignore the fact that those successes were a matter of scaling known engineering. The basic physics of fission reactions, of space flight, and of transistors were known long before those projects and observations began. Here’s the problem: one should not conclude, by way of analogy, that any technological goal can be achieved by sheer perspiration. The easiest and most obvious example is in human health. By a wide margin, the most crucial leaps to better health have been good sewage management and vaccines, followed by antibiotics. But after that it becomes much harder. If market forces alone were enough, we would have conquered cancer long ago, but while some cancers are curable, many others we can at best slow down. (This, of course, is because “cancer” does not have a single etiology.) There are start-up firms devoted to engineered immortality, but none have added a single day to human life spans. In short, just because you can imagine it doesn’t mean it is actually possible. I’m still surprised how resistant people are to this basic principle. Of course, interstellar flight might seem like a straightforward if ambitious scaling-up of the Apollo program. 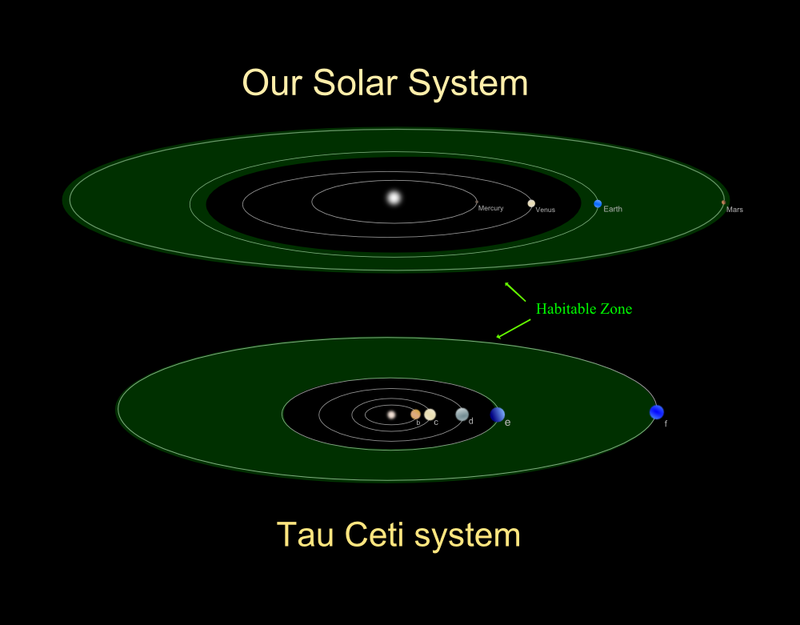 But Tau Ceti, one of the closest singlet G-class stars (i.e., like our sun), known to have at least five planets, is almost 100 billion times farther away than our moon. That’s a lot of scaling; by comparison, Moore’s law from 1971 to today has seen a mere one million times increase in the number of transistors on a chip. And Moore’s law has a cost. As transistors shrink, the chip foundries become increasingly complex, costing over US$1 billion to build, and using prodigious amounts of caustic chemicals. The market pressures so far have masked these costs, but even so the market for personal computers has saturated and it is the market for phones which has largely driven further developments. But now with billions of phones across the globe that market too is becoming saturated. We’ll see replacements, of course, but that is linear; the pressure for geometric growth described for Moore’s law is diminishing. And in a way, this is the story that Robinson tells in Aurora. Some minor spoilers ahead; I’ll keep them to a minimum, but I will outline some key plot points. If you want me to cut to the chase, it’s this: in my opinion, Aurora is the best hard science fiction novel since Benford’s Timescape, and Robinson achieves this by blowing up the usual assumptions, and jumping up and down on them until they are ground into tiny bits. Aurora is about interstellar travel. A ship, one of many, is sent at one-tenth of the speed of light to Tau Ceti. This journey takes almost two centuries, and so generations are born, live, and die aboard the ship. In Robinson’s novel, interstellar travel is possible, but costly. First and foremost, keeping a closed ecosystem running is not easy. Robinson has hinted at these concerns in previous novels, in Icehenge and his Mars trilogy, and here he spells them out in detail, thinking out how a generation ship would work (and not work) to a degree not achieved before. The specific biochemistry is a little beyond me, but he is married to an environmental chemist and, most importantly, the principle is sound. Managing trace elements such as bromine isn’t easy: too little can have dire consequences, but too much and you have toxic effects. The designers of the starship had to try to predict how the ecosystem would behave over centuries. Robinson assumes the designers did a pretty good job, but even in a pretty good job a few miscalculations or oversights can grow over time. Just as big a source of problems as technology is politics. Robinson’s politics lean to the communitarian and the ship’s governance reflects this, but he recognizes that every polity can fracture and every system of governances privileges some over others. In this he echoes LeGuin’s The Dispossessed, a novel I first read many years ago in a class Robinson taught at UC Davis, and which is also set in the Tau Ceti system. And as in Robinson’s Mars trilogy, when society is stressed, some people respond badly, even violently. The politics back home, i.e., on Earth, also shifts. People lose interest in interstellar travel, which soaks up enormous resources, leaving the crew of the ship to their own devices when things go awry. Most SF novels assume that Things Work Out in the end. A crisis convenient for a thrilling plot pops up, but Our Heroes/ines figure out it in the nick of time, and humans triumph over the odds. This future version of Manifest Destiny has been here since the pulps and never really gone away. Robinson attacks this idea, in detail and in depth. The technology goes wrong, and there is no magical fix, and people die. (Not always; there are some spectacular saves.) The politics goes really wrong, and more people die. Moreover, Robinson suggests that Manifest Destiny breaks apart upon the rocks of the Fermi paradox, i.e., if there is intelligent life out there, why haven’t we heard from it? Recently I wrote of the Chinese author Cixin Liu’s solution to the Fermi paradox, a dark and paranoid vision. Robinson’s solution to the Fermi paradox is more measured and frankly more believeable than Liu’s. In most science fiction novels people on alien worlds can easily breathe the air and eat the native organisms with no ill effect. This has always bothered me, because, for example, humans actually can only tolerate a fairly narrow range of atmospheric mixtures; and as for food, we’ve had to co-evolve to digest plant and animal tissues. 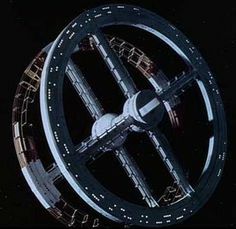 Robinson suggests that most planets are either sterile, and would require centuries or millenia of terraforming–in stark contrast to the decades he unrealistically postulated in his Mars trilogy– or the established life would be so biochemically hostile at a fundamental level that humans could not survive. The latter is of course speculative, but speculation is the game in science fiction. The universe is full of life in Robinson’s vision, only that life is each trapped on its planet of origin. We can’t conquer distant stars; the costs are too great. Aurora is not a perfect novel. Like most hard SF novels, it is plot and exposition heavy. Only three characters are fully realized, and one of those is the ship’s artificial intelligence. The bulk of the prose is plain and to-the-point, which Robinson cleverly covers by having the ship itself be the narrator. Only in the opening and closing sections, not narrated by the ship, does the prose sing and does Robinson use his literary skills fully. But few novels in my reading have examined the technology and the difficulties therein in as much detail, acknowledging that science and people are always flawed and limited. I seldom say this, but Robinson’s novel is truly an “instant classic” of SF, and the hardest of hard SF at that. The year 2015 isn’t over, but Aurora should be a shoo-in for major award nominations. Not only that, it should win. It’s not an unalloyed good to come from a culture so old and layered that I find resonances everywhere – especially when they surface in works I consider deeply flawed, as I do for Tolkien’s oeuvre (and half of Jackson’s Tolkien-linked one). It’s no secret that Tolkien was enamored of Elves but not particularly interested in Dwarves. Their development as a people in his overall work and as individuals in The Hobbit has the quality of a paper napkin. He made them literally children of a lesser god; denied them an afterlife, eventually granting them a heaven separate from the rest; drew them perilously close to ethnic caricatures; barred the rare love liaison with other Middle Earth races that was so au fait for Beren and Aragorn and so crucial for the victories over Melkor and Sauron; and sidelined their language while creating several for Elves and Men. So when Peter Jackson decided to turn The Hobbit (TH) into an opus as epic as The Lord of the Rings (LotR) and focus as much on Thorin as on Bilbo, the gaps were enormous. Jackson’s presentation of the Khazâd is the major (though not the only) reason that his TH is best viewed as alt-universe fanfic, even if he forced its ending back into canon to dovetail with what he had already shown in LotR. As is frequently the case with exuberant composers when they’re given a weak libretto, Jackson stumbled into overpadding and nonsensical plot twists. His TH is so vastly inferior to his sweeping, immersive LotR that it looks like the work of a different person. Yet his visualization of Thorin and his people plucked a strong chord within me despite the buffoonish attributes shoehorned into their depiction. I worried at this lapse in my taste as if it were a sore tooth and eventually touched the atavistic nerve: faithful to Tolkien’s sketchy instructions, Jackson did portray the Dwarves as broad-stroke Jews but they could just as easily pass for Éllines, aka Greeks. The appearance of the Dwarven royal trio owes a lot to Assyrian and Persian friezes. Thorin looks like a Maccabee or Sephardi malik in fully potent middle age and his madness is like that of Saul, not Lear (it helps that Richard Armitage was entering his forties when Jackson started filming TH; I wonder what Oded Fehr or Ghassan Massoud would have done with the role). But Thorin also looks and acts like the Akrítai who safeguarded the borderlands of the Byzantine Empire, or the outlaw chieftains who fought for independence against the Ottoman Turks. I know this archetype intimately from the stories and songs of my people, from Trapani to Trebizond. I’ve had similar pings from other imperfect, unlikely works. When Schwarzenegger takes the sword from the hands of the crowned skeleton in Conan the Barbarian, its subsequent crumbling into dust always makes me recall, with a frisson, that the same thing happened to the gold-masked skeleton Schliemann found in the tombs at Mycenae. Likewise, Thorin’s hair trailing while he’s in the eagle’s claws reminds me of Éctor’s black mane unfurling behind Ahilléus’ chariot. And of course the flying braids of Thorin and his sistersons make me think of the Minoans, the lodestars whose variants haunt my own fiction. But it goes beyond brooding and braids. Nestor-like Balin points out to Thorin that the Khazâd are not primarily warriors but merchants, miners, metalsmiths. They’re decidedly not ethereal: their hands are calloused from work, and once they drop their guard they can get rambunctious or “melodramatic” (by Anglo or Elven standards). Yet earthy as they are, they love beauty even if their taste runs to art deco instead of the Elves’ art nouveau. The Greek diaspora, as old as the polity from which it sprang, has been a necessity dictated by the local physical and (geo)political environment. Like the Jews, the Greeks stood out wherever they went which made them easy targets for displaced anger. They, too, were mostly merchants, artisans, wrights, dragomans, mid-level functionaries. Their host cultures gawked and laughed at their occasional bursts of flamboyance, many of which are now staged as tourist spectacles. Nor were they spared abuse and slaughter in either Muslim or Christian territories: their Christianity (as much a cultural as a religious signifier) was the “wrong” kind. Later, so was their vigorous resistance to Ottoman and Nazi occupation. As a result, they became clannish, secretive, cunning – the common survival tactics of the downtrodden and deracinated – though like the Khazâd they let trusted outsiders into their hearths and hearts. Then there’s the language. Tolkien repeatedly mentioned in the books and his letters how ugly Khuzdul was, how disjunct from the languages of all other “good” folk in Middle Earth. He cared so little about it that he only bothered with a few place names and a single title (“Balin Fundinul Uzbad Khazad-dûmu”). The language had to be retro-created for TH; even then we only hear insults and battle cries in it, except for Kíli’s yearning “Amrâl imê…” to Tauriel (“My love”, which he mouths silently again when he’s dying; Aidan Turner transplanted the phrase and tone to his Ross Poldark incarnation with devastating effect). Hellenic is an Indoeuropean isolate, and those who can speak it are few and getting fewer. I’ve had people tell me it sounds harsh, just as Khuzdul was said to hurt the Elves’ delicate ears. For the Greek diaspora communities, it’s fast becoming a legacy fossil they can only learn in special schools – just like Hebrew for non-Israeli Jews, and Khuzdul as posited by Tolkien. The Elves are a spent force in LotR; their presence is drenched in loss and longing, a late fall twilight afterglow. But at least they have their dazzling pinnacle in The Silmarillion and they’re still pivotal in LotR (especially in Jackson’s non-canonical yet dead-on decision to have them participate in the battle of Helm’s Deep). Tolkien never gives the Dwarves their moment in the limelight. They’re afterthoughts, sidebars viewed with equal parts grudging respect and condescension. By giving them vivid if flawed primacy, Jackson brought that point to the fore. I was captivated by the strong Celtic tinge of Tolkien’s and Jackson’s Elves, by their love of starlight and the sea so close to my own core yearnings. I like the fierce geasa-driven Elves of The Silmarillion more than the cool, gliding apparitions in LotR, because their imperfections make them reachable. 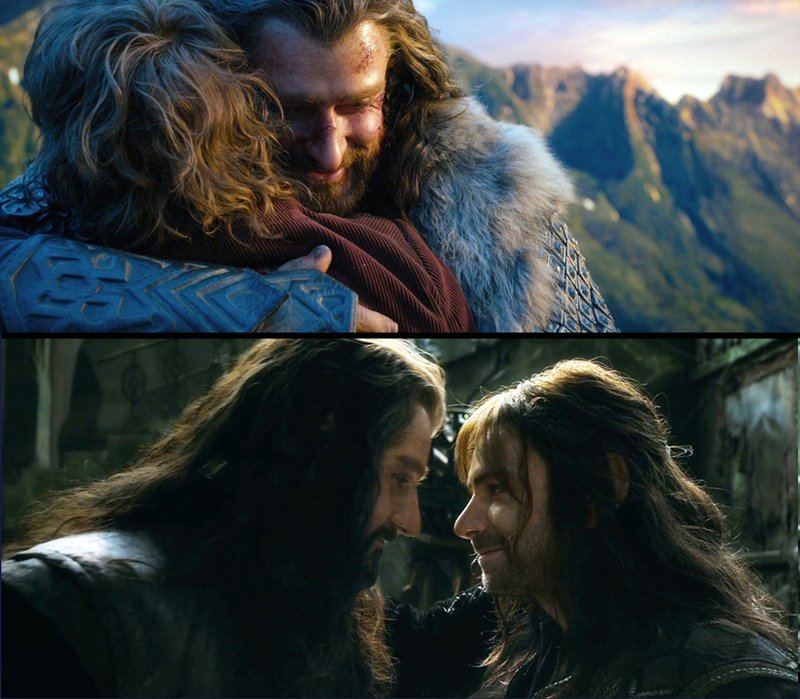 But Thorin’s people, as portrayed by Jackson, are my kin – my ghénos, my mishpocheh. I’d be fighting hammer and tongs with such a man within hours. And yet I’ve been biologically and culturally wired to keep a place in my heart for these dark, hairy, stocky, gruff men with their unshakable loyalties and touchy pride, their love of gaudy jewelry and the works of hands, their boisterous revels and minor-key songs, their penchant for bravado and doomed stands, fusions of Odhysséus and Dhighenís. Being Part of Everyone’s Furniture; Or: Appropriate Away! 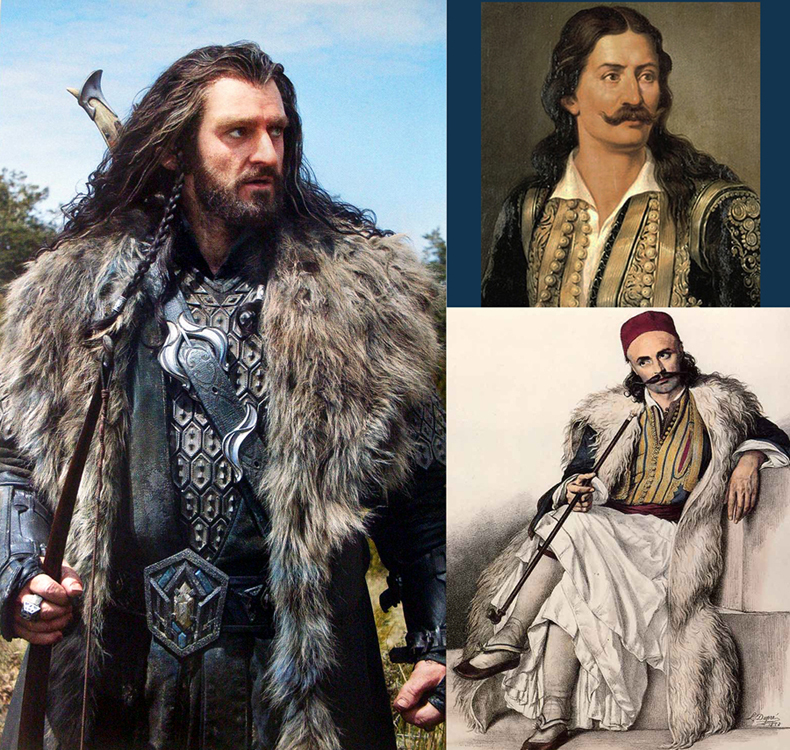 Images: 1st, Thorin Oakenshield (Richard Armitage) and two Greek fighters for independence against the Ottoman Turks; top, Athanássios Dhiákos (by Dhionnísios Tsókos); bottom, Vassílis Ghoúdhas (by Louis Dupré); 2nd, Mediterranean-type physical affection: Thorin embraces Bilbo Baggins (Martin Freeman) and his younger sisterson, Kíli (Aidan Turner). “…they see women as radiant and merciless as the dawn…” — Semíra Ouranákis, captain of starship Reckless (“Planetfall”). This cover is the best birthday gift I could get. I’ve been champing at the bit to share it. As with the story teasers, I won’t say more – I think the art speaks for itself. The artist who gave such dramatic, eloquent visual summation to the stories is Eleni Tsami whose work has graced other book and magazine covers, The Other Half of the Sky prominently among them. You are currently browsing the Astrogator's Logs weblog archives for October, 2015.